The girls have always enjoyed mini-beast hunts in our garden but recently we seem to be finding more curious little creatures than ever whenever we potter outdoors. I’m not sure if this is just the time of year, because we are spending so much time outdoors or because of our newly heightened focus on the natural world following the 30 Days Wild Challenge. Whatever it is, we seem to be discovering more and more bugs, beasts, buzzers and butterflies every day. Roo is always racing in from the garden with some new creepy-crawly on her hand and we spend a lot of time trying to convince her sister that that the interesting thing we have just found on a bush is not a raspberry – at one she is yet to understand why anything but berries would elicit such attention! I find myself taking countless photos of our finds and a good while most days researching our new finds or trying to improve my insect photography skills. Luckily the latter is pretty fool-proof with the use of the touch focus and zoom on my iPhone camera. 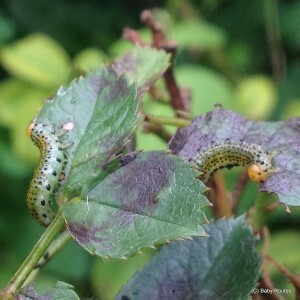 This week we have found two different types of caterpillars munching one of my roses, a tiny caterpillar or larvae of some kind on the ivy flower and I rescued a frog-hopper (the insect that comes out of cuckoo spit) from the pond, which despite its name and brilliant jumping skills, definitely didn’t belong there. Just visiting the same bush or clump of grass in the garden throws up different creatures every few days. It’s a mini-beast jungle out there. I also enlisted the Roo’s help to evict 9 spiders from out kitchen! It is definitely spider season round here – they just keep coming! 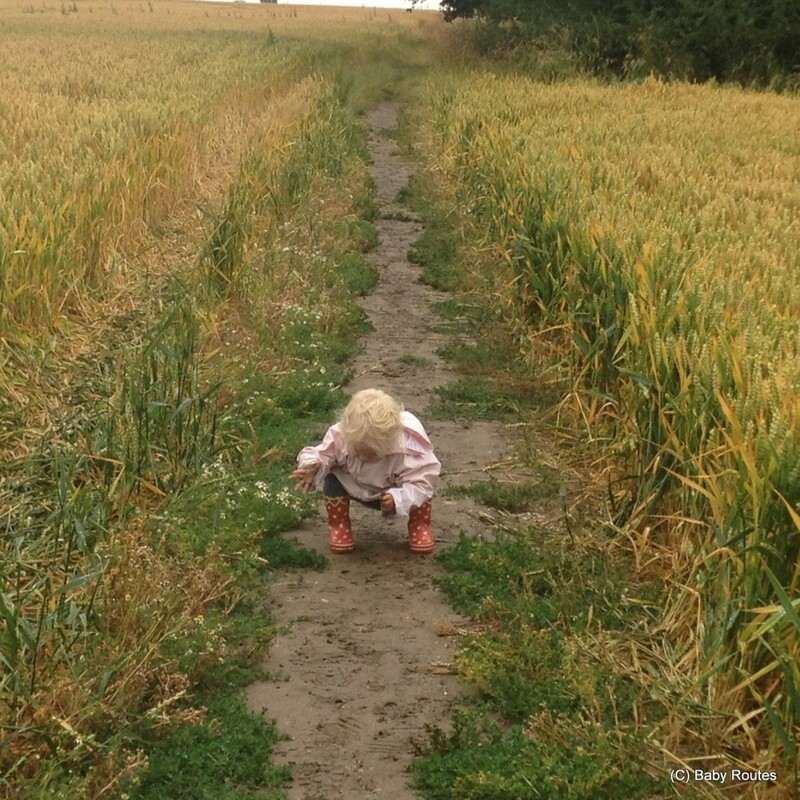 My little mini-beast Beth watching a spider on a muddy walk this week. Now that school (or preschool for us) is out for summer, I’m setting up the girls with their own budding David Attenborough summer project. We will be watching out for those bugs and beasties every day. 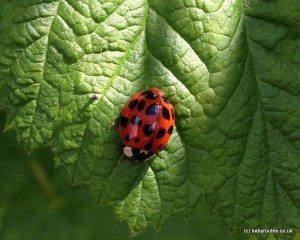 Our summer challenge is going to be to find as many different types of bugs and mini-beasties as we can and at least one insect a day (even if it’s one we have found before) . 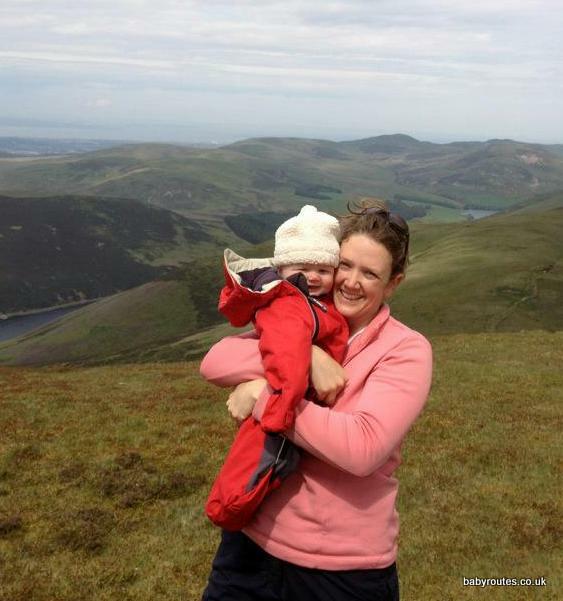 It’s going to be as much of a challenge for me as for the kids, given that the more time I spend outdoors the more I realise I don’t know about it! The minibeast challenge also ought to keep the girls busy outdoors for a few minutes every day regardless of the weather. We will be documenting our finds – Roo and Beth with painting, junk modelling or drawings in Roo’s nature log and for me, with photographs which I will be adding to the gallery here and on a mapped Pinterest board so we can see where our discoveries are made. Why don’t you join us on our summer mini-beast challenge? I’ll be using the #summerminibeasts hashtag on Instagram, Twitter & Facebook or give me a shout out on Pinterest and I’ll add you to the board so you can share your summer holiday insect related posts and photos. Hopefully if a few people join in I we can use our combined knowledge and inspiration to help identify and learn about any new finds, as well as to share mini-beasts related crafts or activities. I hope you can join in! For now, here some useful websites for identifying beast, bugs and butterflies (I’ll add some more as I use them – there are lots of partial directories out there but not many photographic ones for insects that cover a wide range of species). Below that, you will find our discoveries from this week. If you know that the mysterious ivy munching beast is then please let me know. I can’t track it down! 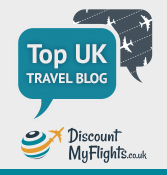 UK Safari – it’s a great site if you want to quickly scroll through photos and spot the beast that looks most like yours! 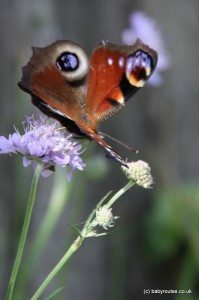 UK Butterflies has this handy page for identifying caterpillars or butterfly larvae. 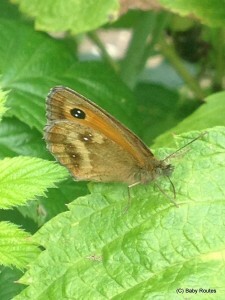 You can use it to spot the adult butterflies too. This handy page from Bug Life helps to identify different types of pollinating insects. 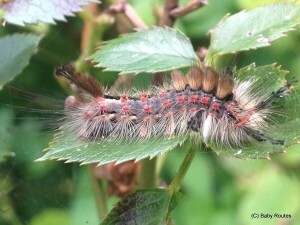 Vapourer Moth caterpillar (I think) found munching our rose plant. Great white caterpillars? Also found on the roses! 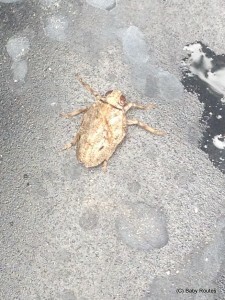 An adult froghopper rescued from our new pond. 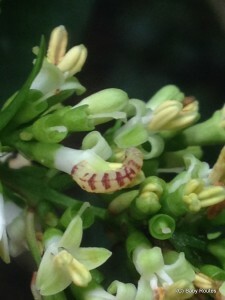 These are the adult bug that come out of the frothy white cuckoo spit you see all over plants in late spring. Curious little things – they can jump pretty high when threatened. This one jumped right over my head when I rescued it! 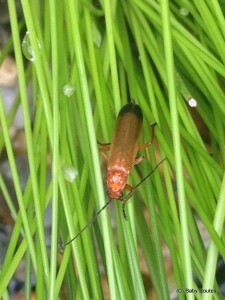 Think this one may be a red soldier beetle. Found it on the pond plants! This little beauty has taken up residence on the stones around our new pond. Whenever I go out for a look in the pond it is always nearby! 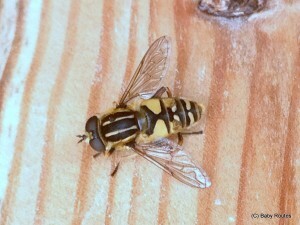 It’s a bit bigger than I thought hoverflies normally are but I don’t think it’s a bee or other buzzing thing – it hovers too well! This tiny crawler I found on an ivy flower. I’m yet to identify what it is so if you know, please drop me a line. The Gatekeeper butterfly with wings folded. 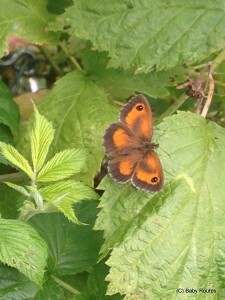 A gatekeeper butterfly visiting our raspberry plants. I’m off on a minibeast walk at Wytham Woods near Oxford this week so will see what I can find. Have you heard about the Big Butterfly Count too? I’m signed up but haven’t done it yet. I think the minibeasts are rife this year. We have been studying minibeasts in activity hour. I recognize your butterfly at the end there it is a meadow brown, our farm is covered in them, they come out earlier than the cabbage whites and tortoiseshells which are only now appearing here. 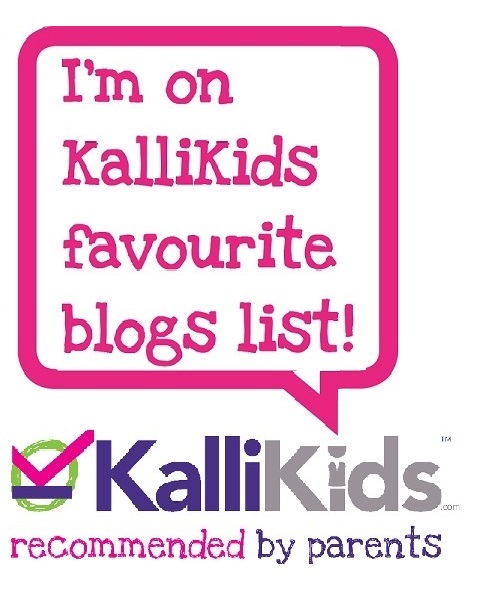 Great idea for a minibeast pinterest board, there certainly are a lot to discover! Thank you for sharing yours so far on Country Kids.